Feeling a bit nutty? 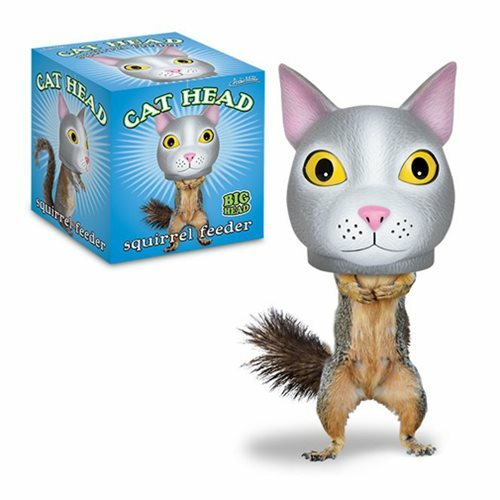 Well then this Cat Head Squirrel Feeder is for you! Hang it easily with string (not included) and fill with feed (not included) to make any feeding squirrel look like it has the head of a gray cat. At 7 inches tall, this feeder is sure to entertain all.